A model of distinctive scholarship. This volume provides new insights into the role of U.S. consuls in the Ottoman Middle East in the special context of the Holy Land. 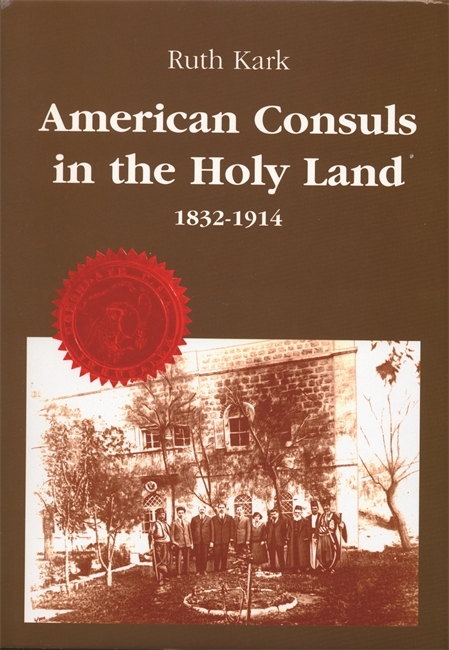 The motivations and functioning of the American consuls in Jerusalem, and of the consular agents in Jaffa and Haifa, are analyzed as part of the US diplomatic and consular activity throughout the world, and of Western involvement in the Ottoman Empire and in Palestine during the century preceding World War I. The processes of cultural, demographic, economic, environmental, and settlement change and the contribution of the US consuls and American settlers to development of and modernization of Palestine are discussed. Based on primary archival sources such facets as the role of consuls regarding the use of extraterritorial privileges, Western religious and cultural penetration, control of land and land purchase, non-Muslim settlement, judicial systems, and technological innovations are considered from American, Ottoman, and local viewpoints. Ruth Kark of the Hebrew University of Jerusalem has written and edited books and numerous articles on the historical geography of Palestine and Israel. Her research interests include the study of concepts of land, land use, patterns if land ownership in Palestine in the 19th and 20th centuries, urban and rural settlement processes, and western influence on the Holy Land. Culled from various archives, this book summarizes and synthesizes important material on the history of Palestine. The book offers researchers and students a wealth of new information and opens avenues to the understanding of nineteenth century Palestine. Ruth Kark's new volume is a landmark contribution to Holy Land Studies. Impeccable in detail, it is comprehensive in scope with profuse visual documentation. A model of distinctive scholarship.